Our World: Better or Worse off? Our World Better or Worse Off? 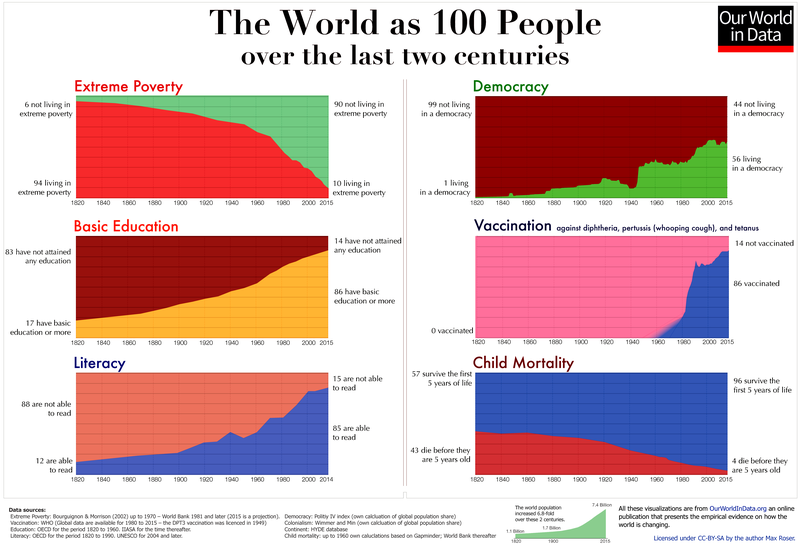 Very few people think that the world is getting better. In a handful of charts, Roser instantly communicates the progress of the human population over the last two centuries in poverty, literacy, health, freedom, fertility and education. If you don’t read anything else this week, make sure you make to time to read this and consider its implications with respect to your current world view. Poverty: In a time of unprecedented population growth, increasing productivity—more output from less input—and economic growth—you are better off when others become better off—have combined to give more prosperity to more people and to continuously lift more people out of poverty. 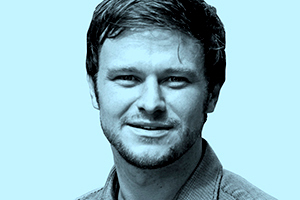 Roser points out that because of disparaging media reports, it is easy to miss the slow developments that reshape our world, suggesting that the headlines since 1990 could have read instead, “The number of people in extreme poverty fell by 130,000 since yesterday!”—and that could have run every day. 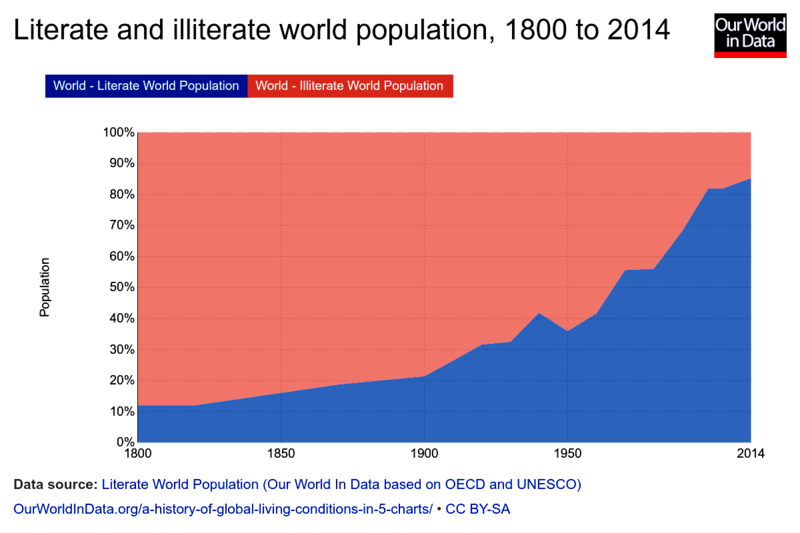 Literacy: It was in the last two centuries that literacy became the norm for the entire population. If you think science, technology, political freedom are important to solve the world’s problems and you think that it helps to read and write to do this, Roser points out that in 1800 there were 120 million people in the world that could read and write; today there are 6.2 billion. 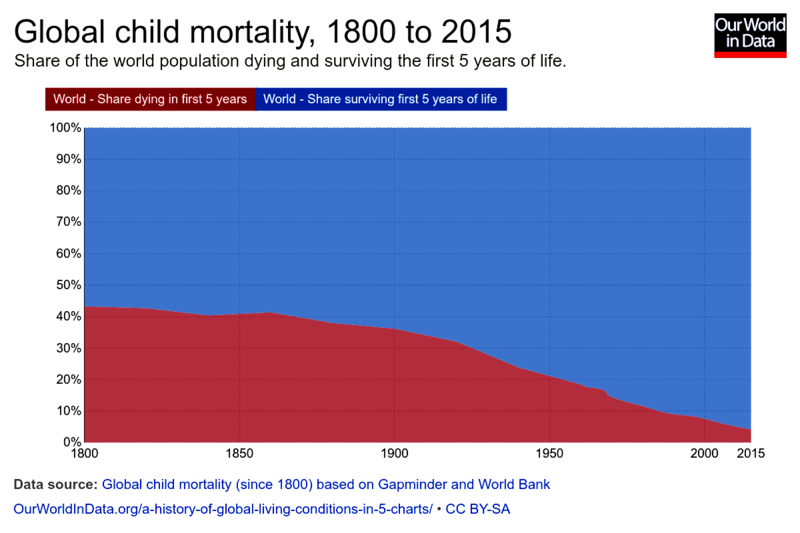 Health: In 1800 the entire world lived in poor conditions; in all countries of the world more than every third child died before it was 5 years old. 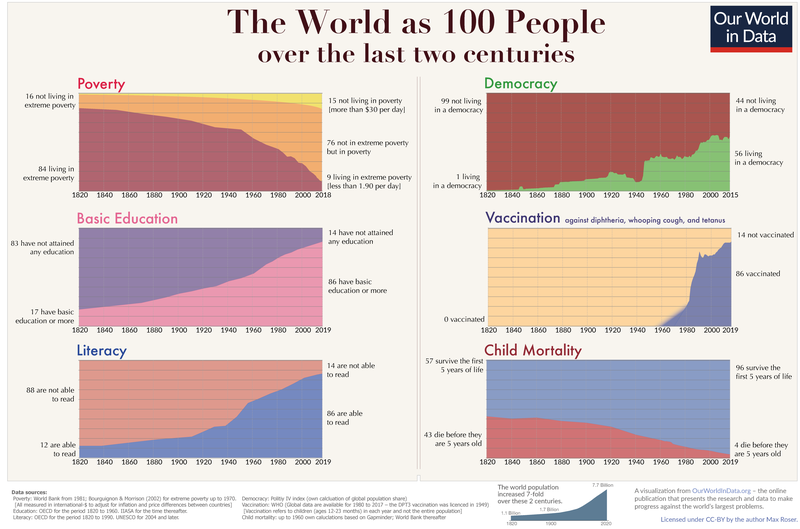 For a combination of reasons—rising prosperity, changing social life, improved housing and sanitation, healthier diet, and innovations in science and medicine—child mortality is now down to 4.3 percent—10-fold lower. 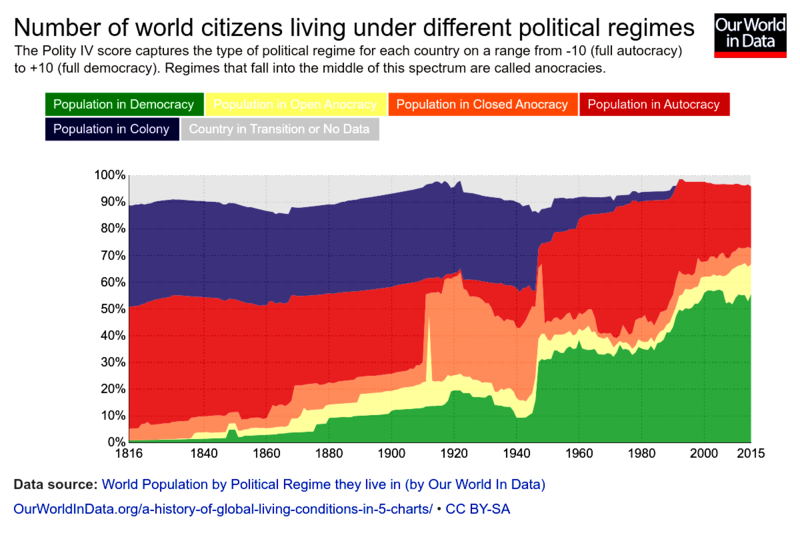 Freedom: Using the Polity IV index to measure regimes, Roser points out that the share of the world population living in democracies has increased continuously; now more than every second person in the world lives in a democracy, and 4 out of 5 living in an authoritarian regime live in one country—China. Fertility: Population growth increases humanity’s demand for resources and amplifies humanity’s impact on the environment. Roser points out that world is well into the demographic transition and global population growth has in fact peaked. Global life expectancy doubled just over the last hundred years; global fertility has more than halved in the last 50 years. Education: Roser points out that the revolution in how we live was not only driven by education, it also has made education more important than ever. Researchers expect that there will never be more children on the planet than today. 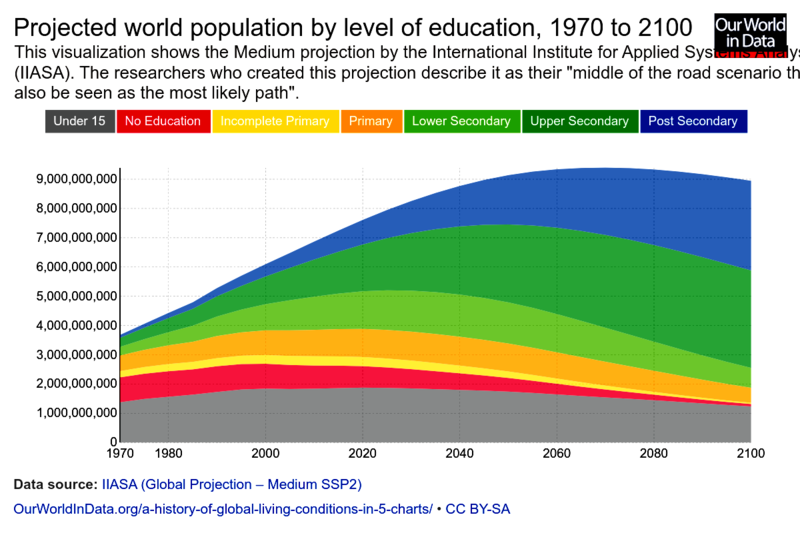 Their projection suggests that by 2100, there will be almost no one without formal education and there will be more than 7 billion minds who will have received at least secondary education. Roser concludes by pointing out that most of us have a very negative perspective of global development and suggests that the media is in part to blame because the media does not tell us how the world is changing, it tells us what in the world goes wrong. When we are ignorant about global development, he says, it is not surprising that few think that the world is getting better. “What is clear from the long-term perspective is that the last 200 years have brought us to a better position than ever before to solve these problems,” Roser summarizes. “Solving problems—big problems—is always a collaborative undertaking. And the group of people that is able to work together today is a much, much stronger group than there ever was on this planet. We have just seen the change over time; the world today is healthier, richer, and better educated. 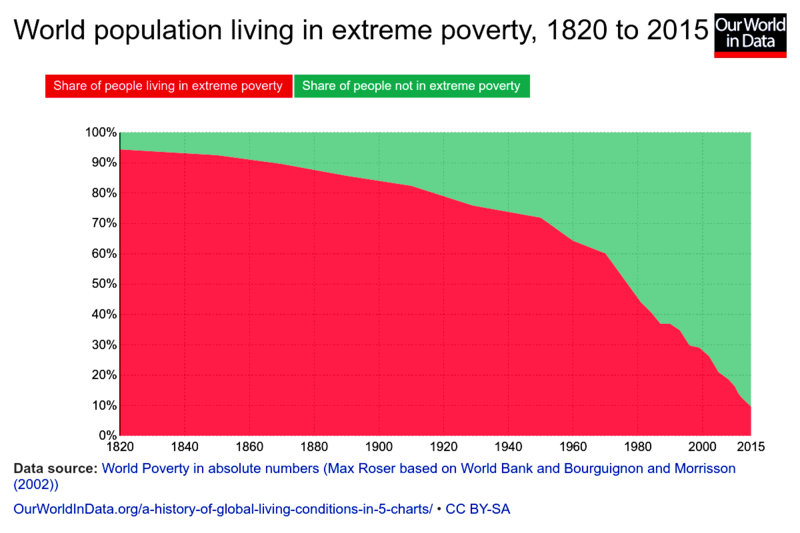 To read the entire Roser article: https://ourworldindata.org/a-history-of-global-living-conditions-in-5-charts.